Prices exclude applicable taxes, fees, equipment, installation and any other one-time charges. A credit check and deposit may be required. Other fees may apply. 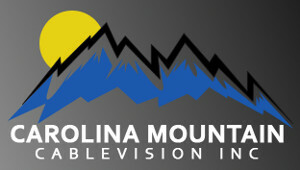 Carolina Mountain Cablevision Basic Cable has all the basic television stations that you know and love. It has Disney, Nickelodeon, and the Cartoon Network for the kids; Discovery and National Geographic Channels for students; HGTV, ESPN and Hallmark for the adults and American Movie Classics for the whole family. Premium movie channels and other add-ons are availble for additional fees.